Autism in Paradise: What Constitutes a Free and Appropriate Public Education for a Autistic Children? What Constitutes a Free and Appropriate Public Education for a Autistic Children? In a case argued before it last week, the U.S. Supreme Court is considering a ruling that could strengthen, or at a minimum, clarify what defines the Free and Appropriate Public Education (FAPE) promised to students with disabilities in federal law under the Individuals with Disabilities Education Act (IDEA). This is a subject near-and-dear to my heart, and was the topic of my doctoral dissertation at the University of Southern California. I have never studied Latin, but I’ll go out on a limb and loosely translate de minimus as “the minimum”. What parent of a disabled child—or any child, for that matter--wants to think the bare minimum is an acceptable educational standard? As a little background, IDEA, a renamed follow-on to the 1975 Education of the Handicapped Act, was itself modified in 1990 to extend eligibility to students with autism. Prior to this, autistic children were left to languish with no programs available to them through the public schools. In trying to achieve the lofty goal of providing a free quality education to students with disabilities, the federal government pledged to cover 40% of the additional costs for special education. However; in my research I could not determine the actual level of federal funding has ever exceeded 18%. In 2014, approximately 15.3% of the cost was provided through federal funds, representing a significant shortfall to the states. FAPE is defined under IDEA as special education and related services that are provided at public expense under public supervision and direction with a plan for that education laid out in an Individualized Education Program (IEP). Related services in current law are quite broad, and defined as speech-language pathology and audiology services, interpreting services, psychological services, physical and occupational therapy, recreation—including therapeutic recreation, social work services, school nurse services designed to enable a child with a disability to receive a FAPE as described in the IEP, and counseling services, including rehabilitation counseling, orientation and mobility services. 20 U.S. C. § 1401(26)(A). I find it interesting that Behavioral Therapy doesn’t appear in this rather exhaustive list of services—could “therapeutic recreation” be extrapolated to mean horseback riding or dolphin therapy? 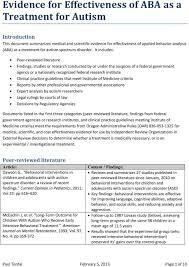 This is not to say these are not effective for some children, but there is less (if any) published research supporting their use as evidence-based practice in comparison with the studies demonstrating the success of Applied Behavior Analysis (ABA), or similar techniques in providing measurable cognitive improvement in autistic children. I point out this exclusion because many parents have complained that schools will not allow for ABA to be specifically called out in their child’s IEP, although Physical Therapy, Occupational Therapy and Speech Therapy services are literally defined by the number of minutes the child is to receive per quarter. I would bet the rent that financial implications are the reason for the omission of ABA, which for severe children like my son, should be provided 35 – 40 hours per week. Although several courts have ruled ABA must be part of the plaintiffs’ IEPs, the omission of Behavioral Therapy has been interpreted at times to mean schools are not required to offer it despite being generally regarded as the gold standard of care for children with autism. This is significant and at the heart of the case—remember the Latin term de minimus used in the question before the Supreme Court? For children with disabilities—in this case, autism—is there a minimally acceptable standard of education or is there a requirement to educate a child to their potential? Predictably, parents of special needs children say, “Yes”, but are often surprised to find current law is not in their favor. In the seminal case, Board of Education of the Hendrick Hudson Central School District v. Rowley, the Supreme Court held that while the state must provide an education that is “reasonably calculated to enable the child to receive educational benefits,” (Rowley, 458 U.S. at 206-07), the goal of IDEA was to provide “appropriate, not optimal, special education…” Further, the Court said “…courts many not substitute their notions of sound educational policy for those of the school authorities” (Rowley, 458 U.S. at 198, p. 206). 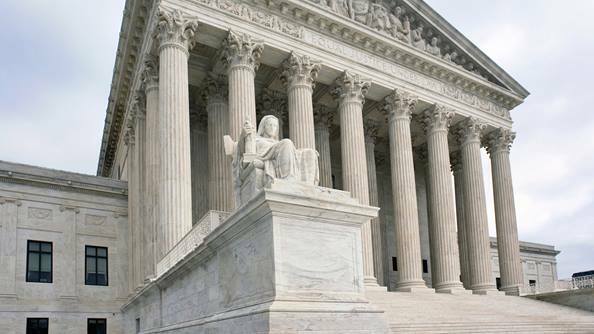 This ruling would seem to allow a great deal of latitude to educator’s to determine the child’s needs—which necessarily must be balanced with the resources available. Rowley coined the term, “Basic floor of opportunity”, and has been used extensively in deciding subsequent court decisions involving FAPE cases. The Rowley decision has been interpreted to mean schools are required to provide students with disabilities access to “an appropriate education”—could it be any more vague than this?—but not the best possible one. An analogy often seen when discussing Rowley is Cadillac versus a Chevy…in other words, the minimum acceptable, aka, de minimus. But who could possibly argue with giving students with disabilities the best education possible? Given the limited resources schools have, it is not surprising there is another side to this argument. ABA has been shown to effectively treat children with autism, but to be effective in severe cases, a child must receive between 30 – 40 hours per week of one-on-one ABA services. The cost of these services (which have historically been denied by health insurance) are quite expensive and out of financial reach for most families. Additionally, according to the Centers for Disease Control, medical expenditures for individuals with autism were 4.1 – 6.2 times greater than for those without an autism spectrum disorder. The sheer expense of raising an autistic child results in parents pressing schools for increased service levels. Students with autism also use more services than children covered under different disability categories and use a wide array of services. 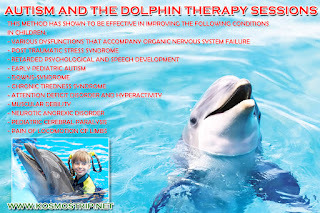 In addition to Behavioral Therapy, Occupational Therapy, Physical Therapy, Psychological Counseling and Speech Therapy are quite common at a minimum. Since services cut across several areas of professional expertise, it can be difficult for schools to staff all specializations to meet demand. Couple that with the rapidly rising prevalence rates of autism, and it doesn’t take a rocket scientist to realize there is far more demand than supply. In California, the number of public school students with an autism diagnosis has risen seven-fold since 2001, according to the latest special education data from the California Department of Education, the Sacramento Bee reported in July of last year. There was a 7% jump from the 2014 – 2015 and 2105 – 2016 school years. The increase in kindergartners with autism jumped 17% overall. Assuming similar increases in most states, and it’s clear where public school special education costs are headed. For those of you who think educating these kids to make them as independent as possible is a waste of your tax money, consider this: a 2015 study that appeared in the Journal of Autism and Development Disorders estimates the economic costs of autism for 2015 to be $268 Billion in the United States, rising to $461 Billion by 2025 if prevalence rates remain flat. 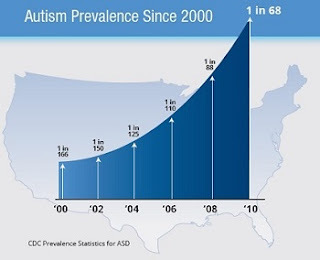 If the increase observed over the last decade continues, autism’s costs to society will exceed $1 TRILLION by 2025. And as expensive as it is to educate a child with autism, one thing is for certain. These Children with Autism will become Adults with Autism. In my home state of Hawaii, Dr. David Fray, then the Department of Health Developmental Disabilities Division Chief testified at a 2014 hearing that his department served 300 adults with severe autism, with the cost of each individual ranging between $200,000 to a whopping $900,000 per year. Who do you think pays these costs? The insurance companies—nope. You, the taxpayer. So I ask you—should a Free and Appropriate Public Education for an autistic child be a Cadillac or a Chevy? Because if it’s the Chevy, taxpayers will be paying the equivalent of Lamborghini taxes to provide care to the flood of autistic adults into the social system. This is a lovely news about the autistic child education. They are stayed in the minority group and stay alone in their life and most of the time they are miss judged from their own rights. And now they will get free education which is so amazing news for all. Under current regulations, only not-for-profit trusts and societies registered under Societies Registration Act, 1860, and companies registered under section 25 of the Companies Act,PrivateWriting customer reviews 1956, qualify to be affiliated with the CBSE and to operate private schools.